SAUK VILLAGE | Voters wanted change and spoke loudly at the polls Tuesday. 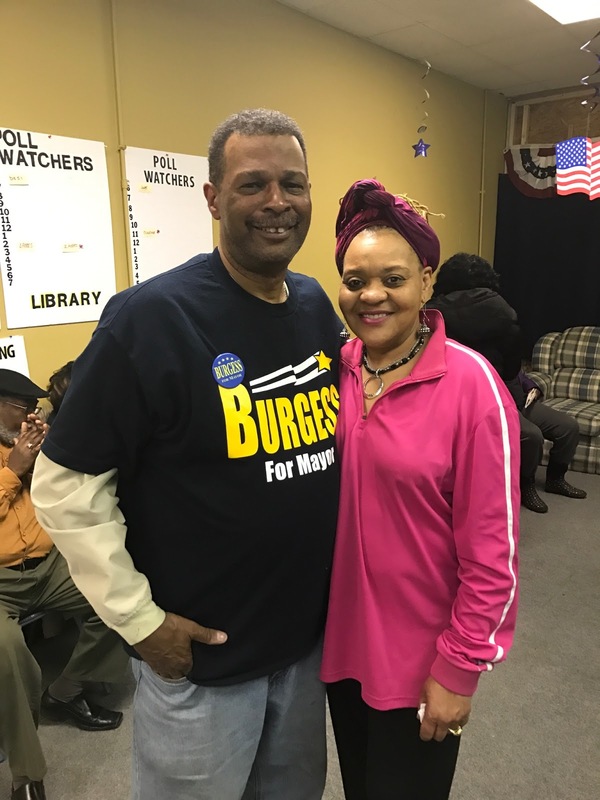 With 100% of the polls reporting, Village Trustee Derrick Burgess won with 55.5% of all votes cast over Village Trustee Rosie Williams-Baig and Village Trustee Lynda Washington-House. Burgess's decisive victory was a demand for change by the voters and an end to the status quo. Both Williams-Baig, who completed her third term on the Village Board and Washington-House did not seek re-election to the Village Board and will now be out of their Trustees seats come May 9th. Burgess, whose seat is up in 2019 will get to appoint his successor once he vacates his seat upon taking the oath as Mayor. Burgess ran a very positive campaign and his message of a New Direction and a Pathway to Progress resonated with the residents. Voter turnout was light, with about 1074 voters turning out at the polls to choose the next Mayor. Current Mayor David Hanks who endorsed Williams-Baig for Mayor and wrote a scathing article on his personal blog as to why he decided not to vote for Burgess, did not call or attend Burgess's victory party. Williams-Baig did not call to concede, however, Washington-House did turn-up at Burgess's campaign office to concede in person. So proud of Marva Campbell-Pruitt. She will represent positive change for the Village.